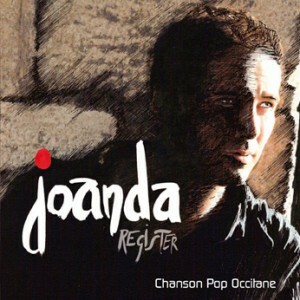 REGISTER – new CD album by Joanda – 11 tracks. Joanda, a singer and active participant in the modern Occitan cultural movement, takes us on a fascinating journey into the Oc country with his latest album, REGISTER: a unique musical style mixing traditon and modernity, where the sounds of the hurdy gurdy encounter those of today’s folk-rock. The lyrics, resolutely modern, speak of contemporary and universal themes. These topics are subtly inspired by the rich Occitan history, like the desire to live fully as what we are (Liure serai, inspired by the crusade against the Cathars); the uprising of a whole people in times of great crisis (Caminarem, inspired by the revolts of southern winegrowers in 1907); the insane courage of the one who fights (Pablo Neruda, Guevara, inspired by these men who strove to change the world). Joanda divulges a bit of his own life in some songs, singing about his family background (La pèl dins lo vent, inspired by his origins both in Occitania and Algeria). In this album, there is also a touching duet with one of the pioneers of the ‘nòva cançon occitana’ (new occitan song), Claudi Marti (Un país que vòl viure).